Ellis Island in New York harbor is well-known as the main entry point for European immigrants in the late nineteenth and early twentieth centuries. What many do not know is that Baltimore was the second-leading port of entry at that time. The establishment of the nation’s first commercial steam railway, the Baltimore & Ohio Railroad, in 1828 opened the way to the West. As the westernmost major port on the East Coast, Baltimore was a popular destination. Irish and German settlers were the first to use Baltimore as a point of entry. Immigration increased after the Irish potato famine of the mid-1840’s and the German political uprisings of 1848. The number became so great that after 1850, immigrants were no longer brought directly to Fell’s Point, Baltimore’s first port. Instead, they were unloaded at Locust Point, next to Fort McHenry. Between 1790 and 1860, Baltimore’s population rose from 13,503 to 212,418. Word spread and, for those who worked hard, there were jobs to be had with the railroad and businesses in the city. By 1913, when Baltimore immigration was averaging forty thousand per year, the federal government built an immigration center at Locust Point. But just as the center was being completed, World War I closed off the flow of immigrants, so the building became a military hospital. After the war there were not enough new arrivals to justify reopening the center. In the 1920’s, the building was transferred to the Treasury Department and used by Prohibition agents as a depot for confiscated liquor bound for Baltimore. The B&O had constructed two large buildings at Locust Point that served as terminals for both the steamship lines and the railroad. Italians began to settle in Baltimore during the late 1800s. Some Italian immigrants came to the Port of Baltimore by boat. The earliest Italian settlers in Baltimore were sailors from Genoa, the capital city of the Italian region of Liguria. Later immigrants came from Naples, Abruzzo, Cefalù, and Palermo. These immigrants created the monument to Christopher Columbus in Druid Hill Park. Many other Italians came by train after entering the country through New York City’s Ellis Island. The Italian immigrants who arrived by train would enter the city through the President Street Station. Because of this, the Italians largely settled in a nearby neighborhood that is now known as Little Italy. Little Italy comprises 6 blocks bounded by Pratt Street to the North, the Inner Harbor to the South, Eden Street to the East, and President Street to the West. Other neighborhoods where large numbers of Italians settled include Lexington, Belair-Edison and Cross Street. Many also settled along Lombard Street, which was named after the Italian town of Guardia Lombardi. Italian immigrants who made their living as sailors settled in Baltimore. Some heading west to seek their fortunes during the tail end of the California Gold Rush — stopped in Baltimore to prepare for the long journey across the country. Baltimore was a growing city and many immigrants made the decision to stay and work there instead of continuing their journey west. Some worked in construction, helping to build the city; some become fruit vendors and importers of Italian food and others were tailors, shoemakers and barbers. St Leo’s in Little Italy. Baltimore’s Little Italy got its first church when the Roman Catholic complex of St. Leo’s Church was built in 1880. Today the church is listed as a national historic shrine. In 1904 the Great Baltimore Fire wind-whipped into an uncontrollable conflagration that engulfed a large portion of the city. The story goes that the population of Little Italy prayed to St. Anthony to spare the district and the fire stayed on the west side of the Jones Falls River. Little Italy was not damaged. Today St. Anthony is honored with annual dinners around the neighborhood as people give thanks to him for answering the prayers of their predecessors in 1904 to keep the fire at bay. This celebration has become known as the Festival of St. Anthony, which takes place around the historic church of St. Leo. Dancing, processions and, of course, lots of eating takes place over the two-day event in June. The Italian community is still vibrant today with a large Italian American population and a very active Order of Sons of Italy in America. Numerous feasts, an open air film festivals and bocce tournaments are some of the annual events. Parish dinners, an Italian Golf Open, a Columbus Day parade, a tree lighting ceremony with a choir, an Italian-speaking Santa Claus and close to 25 Italian restaurants attract over seven million visitors to Baltimore’s Little Italy each year. In 1994 the first of Little Italy’s open-air film festivals took place. Every year since then, it has grown in size and today it takes place each Friday night throughout July and August. The event is free, with movie-goers bringing their own chairs, blankets and snacks, as they sit back to watch a featured Italian-related movie. Free popcorn is provided along with live music and the festivals are open to the public. This community is best appreciated for its fantastic foods and charming restaurants. Beyond the delicious, authentically prepared foods representing each distinct region of Italy, this neighborhood has much more to offer. Pasta is a staple of Italian cuisine. Germano’s (300 South High Street) offers a unique opportunity for kids and adults to try their hand at making pasta. The chefs at Germano’s present a pasta-making demonstration and explain the history and culture associated with Italian cuisine. 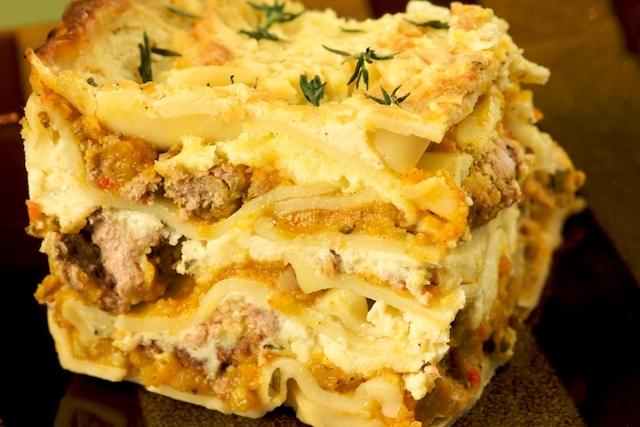 The presentation is followed by lunch where you enjoy the pasta that you helped to create! Gioacchino Vaccaro established Vaccaro’s Italian Pastry Shop in 1956. He was born and raised in Palermo, Italy. Mr. Jimmy, as he was so aptly known, brought with him the recipes and the knowledge of how to make the finest Siciliano pastries Baltimore had ever seen. Soon after opening, it was evident that the cannoli and rum cake had created a sensation among Baltimoreans. Today, Nick Vaccaro continues the family tradition begun by his father with the same old world recipes brought over from Italy. In 1925, at the age of 26, Pasquale Chiaparelli arrived in the United States aboard the Conte Rosso from Naples, Italy. A tailor by trade, he came to Baltimore to join other family members who had immigrated here before him. In the early 1940′s he opened a pizza place with his brother that would later become Chiaparelli’s restaurant. He married Anna Mary Pizza (yes, Pizza was her last name !) better known as, Miss Nellie. She made fresh ravioli for the restaurant daily until well into her 80’s. Miss Nellie died in 2004, just a few months shy of her 101 st. birthday. Pasquale preceded her in 2002. Today, the restaurant remains in the family. Chop the lettuce, red onion, hard-boiled eggs, black olives and pepperoncinis in a large bowl. Combine the white vinegar, olive oil, garlic, oregano and sugar into a dressing. Pour over the salad, add the grated cheese and toss. Season squash with olive oil, salt, and pepper and roast on a parchment-lined pan at 350 degrees F. until softened. Butter the bottom of a casserole dish and pour in a thin layer of heavy cream. Put a layer of squash sheets in the bottom of the dish, then add a layer of artichokes, then sausage and then spinach. Repeat until ingredients have been used up, ending with a layer of squash. Top with sun-dried tomatoes and cover with Parmesan cheese. Bake at 350 degrees F. for 20-30 minutes. Garnish with a ladle of the champagne-cream sauce when serving. For the sauce: Saute the garlic and shallots in butter until soft. Add the champagne and reduce until almost dry. Add the half & half and reduce for 5 more minutes. Add the rosemary at the end and season with salt and pepper. Toast sourdough bread and set aside. 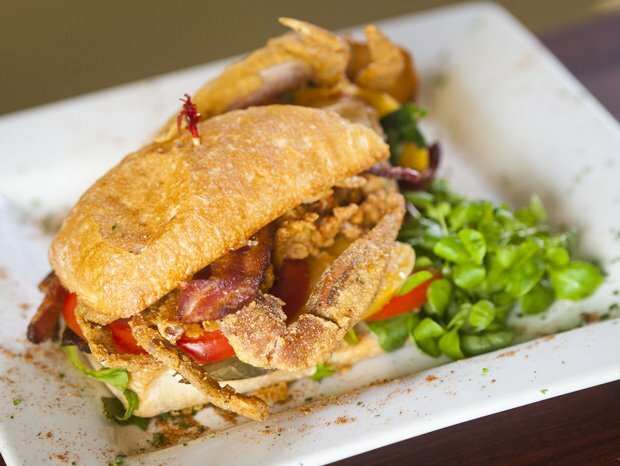 Stuff the crab cake inside the soft-shell crab and fry until golden. Drain. Cut crab-cake-stuffed crab in half. Spread half the remoulade sauce on one slice of bread and top with half the lettuce, tomatoes and bacon. Add one half of the crab and top with the second slice of bread. Spread second slice of bread with avocado and top with remaining lettuce, tomatoes, and bacon. Add second half of crab. Spread remaining remoulade sauce on the third piece of bread and place it face down on the sandwich. Serve. Gently boil heavy cream and rosemary branch in a saucepan. Remove pan from heat and cool 3-5 minutes. Strain out the rosemary and return cream to the pot; discard rosemary. Bring cream back to a boil. Remove from heat and add chocolate. When the chocolate mixture cools, add the rosemary oil. Pour the mixture into a clean bowl and cover with plastic wrap (press the wrap against the surface of the chocolate to keep air out). Refrigerate for 4 hours. After that, use a tablespoon measuring spoon to scoop up balls of chocolate. Dust your hands with cocoa powder and roll the chocolate into truffles. 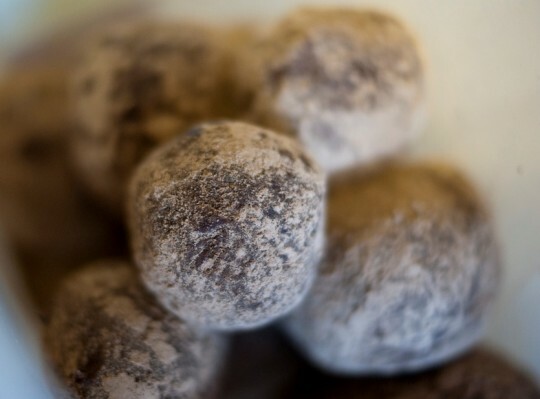 Transfer truffles to an airtight container, stacking truffles in a single layer and refrigerate up to 2 weeks. Bring truffles to room temperature just before serving. Great post on Baltimore’s rich culinary traditions. No, Thank you, I couldn’t have written it better myself and my site is dedicated to this. It is – hope you give it a try. As we have chickens it seems a shame not to. Can you explain what pepperoncinis are? those recipes look great, we will definitely try them out! Thank you for posting Chiapparelli’s House Salad recipe. I have tried to duplicate it for years. It is so good!